Event Date: Friday, November 3, 2017 || Starts at 6:30 pm || Co-sponsoring with Jennifer Grisanti and Supporting Sponsor Final Draft. This month’s Friday Night Social is being held at The Palomar Hotel’s Double Take Restaurant and Lounge area. 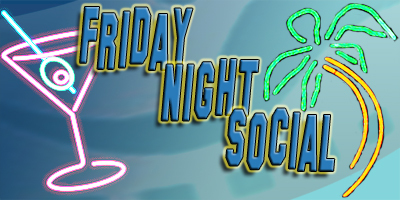 Please join Jennifer Grisanti, Final Draft and SWN at this location for this month’s Friday Night Social “Networking” event. Double Take is all about the energy of the west Los Angeles modern bar scene that effortlessly compliments an avant-garde approach to classic comfort cuisine. With an edgy aesthetic that pays homage to the local independent filmmakers who took part in making Los Angeles what it is today. Double Take, A New Beverly Hills Restaurant – Situated in the midst of Wilshire Blvd, between Beverly Hills and UCLA, Double Take at Hotel Palomar Beverly Hills is a dining hotspot inspired by a Hollywood backlot. Chef Bryan Podgorski’s serves up unfussy, market-inspired snacks, salads and entrées that shine with Southern California ingredients. Grab coffee and house-baked pastries on your way out in the morning or linger over breakfast while working in the lounge. After work, let Sarah Mengoni’s updated takes on classic cocktails mellow you into the evening.